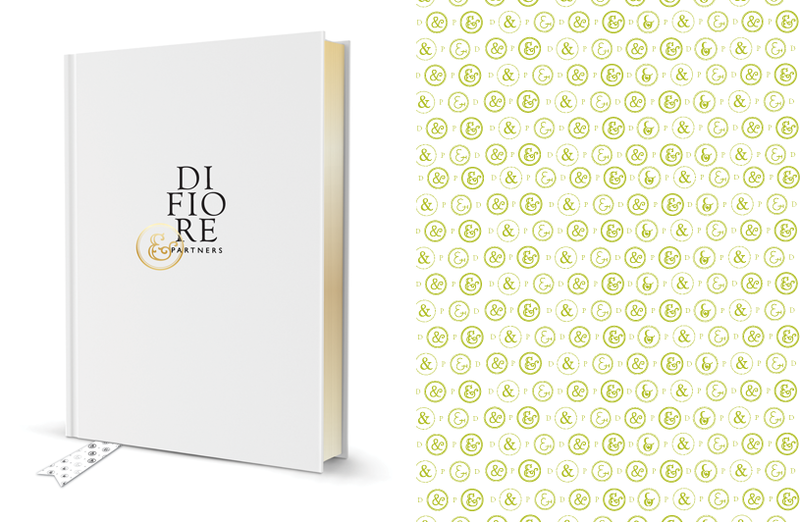 When starting to design the new brand for DiFiore & Partners, we knew we had something special ahead of us. The two partners discussed their love affair with designing from the studs out, considering every detail of a room and how it would be used. We listened to them lament the placement of electric outlets to provide the perfect placement of a lamp for the night time bedtime story in Dad’s favorite chair. The more we listened the more we realized that DiFiore & Partners wasn’t just in the business of designing fine residences. They were designing for future memories. We began by studying the pride of craftsmanship that you find on Saville Rowe in the detail of a finely tailored suite. We looked at aging fashion companies keen on communicating a heritage of quality, and a forward-thinking approach. We studied the beautiful ancient architecture of Rome and more importantly the letters chiseled into their pillars. Total customization can be a rare feature in fine residences. But with DiFiore & Partners it is a must. We utilized five different ampersands to represent the vast style library utilized at DiFiore & Partners to customize each project. Every home is about memory—the framing of experiences to build a storyline of personal connections. The home serves as a bridge, between happiness today and the recollection of yesterday. It is our belief that interior design provides the setting for the experiences of the present in order to capture beautiful memories for tomorrow. 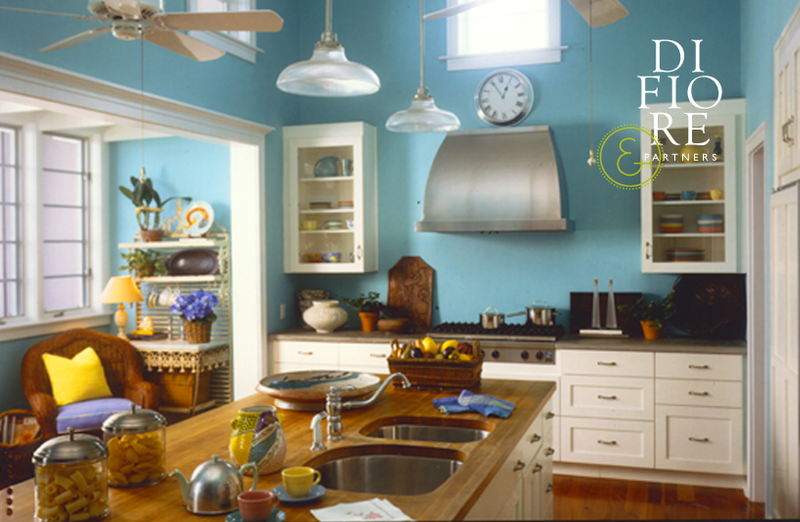 At DiFiore & Partners, design is the process of creatively realizing how stories will be remembered. It is the intentional plan for how you want to recall the sound of your granddaughter’s first words and the smell of fresh baked cookies. It is prioritizing how a room will capture the nightly bedtime story in your favorite chair. Our process carefully extracts your sensibilities, and through empathy and experience, interprets those into the distinguishing features of your home. Design- ers at DiFiore & Partners work in tangent with the architect and other craftsmen to listen, measure, sketch, and apply a plan that ensures the result is a singular expression reflecting the preferences of each client. We are DiFiore & Partners. Turning fine residences into a place you can call home. About the Author: Greg Ash is the Associate Creative Director at Two Paperdolls, a design and letterpress studio located outside Philadelphia. Greg and his team helped to guide DiFiore & Partners through the branding process and ultimately to the new position it is in today.